Flexible displays are all the rage these days for smartphones, with Samsung and LG battling to get theirs to market first and then onto devices. LG, as of late last night, is claiming that their flexible OLED is the first to be ready for mass production. In a press release, LG says that they already have a 6-inch flexible OLED that weighs just 7.2g and is only 0.44mm thick. Typically when LG announces a new panel or technology that is made for smartphones or tablets, we tend to see an announcement of a product that uses the tech within a couple of weeks, sometimes days. With that said, LG did specifically mention that they expect flexible OLED displays to show up in automotive displays, and on tablets and wearable devices in the very near future. Their goal is to take an early lead in this market by introducing new products and enhanced performance and differentiated designs “next year.” That sounds to me like a flexible product isn’t coming until 2014. 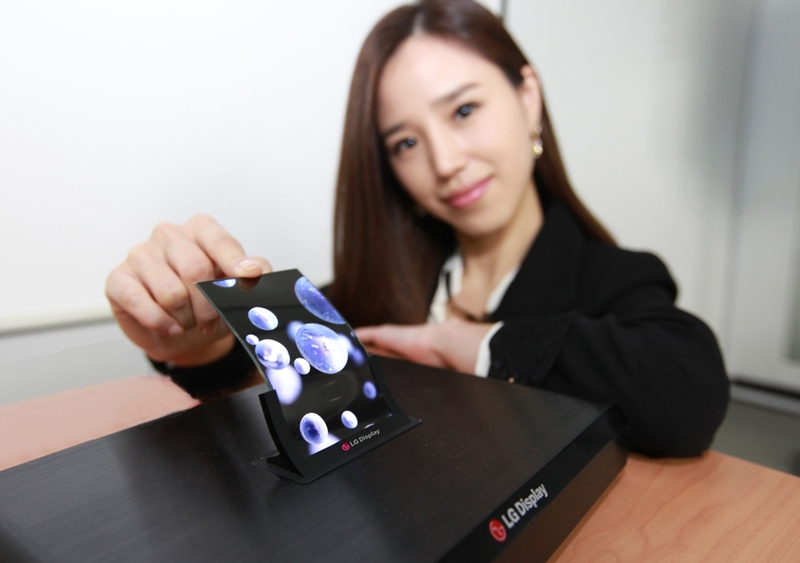 Update: Reuters is reporting that LG could announce a phone with a flexible display as early as next month. The press release clearly states “next year,” but hey, stranger things have happened. Who wants to start the Nexus 5 flexible display hypebeast story? Should they announce something new, we’ll be sure to pass it along. Seoul, Korea (Oct. 7, 2013) – LG Display [NYSE: LPL, KRX: 034220], the world’s leading innovator of display technologies, today announced that it will start mass-production of the world’s first flexible OLED panel for smartphones. This state-of-the-art panel represents another milestone following the company’s commercial rollout of the world’s first 55-inch OLED TV display earlier this year. In March 2012 LG Display developed the world’s first 6-inch Electronic Paper Display (EPD) based on e-ink which utilizes a plastic backplane. Having previously showcased the world’s first curved 55-inch OLED TV panel at CES 2013, today’s announcement highlights the company’s leading position in advanced flexible display technologies. According to research firm IHS Display Bank, the global flexible display industry will see dramatic growth and become a USD 1.5 billion market by 2016, exceeding USD 10 billion by 2019. LG Display plans to advance flexible display technologies and bring innovation to consumers’ daily lives with the introduction of rollable and foldable displays in various sizes. Hello, Nexus 5 Service Manual.